You should be under no illusion that roofing in Rochester NY can be a very dangerous job. Working at such heights, steep pitches, and sometimes extreme weather conditions can put Rochester roofing companies at risk on a fairly regular basis. If a roofing company is held liable for any injuries or accidents to workmen and not have roofing worker’s compensation insurance their insurer will cover the claim. This could potentially put you as a homeowner at risk of a lawsuit from an injured workman who was improperly insured. Liability Insurance – is available as a second type of roofing insurance. As roofing insurance goes this is another vital commodity to your roofing company. If a member of the general public walks into a piece of equipment and get injured, or a roofer drops a shingle on a nearby car, you are responsible for the cost of the damages and repairs. In some cases this can be a large amount if they are not properly insured. If you are searching for a Rochester NY roofer to give you an estimate on your roofing project, make sure to see what forms on insurance they have. You should know this because roofing insurance can be very expensive so some Rochester NY roofing companies have taken to using a general contractors insurance policy. If any accident damage is caused to your home or vehicles, or if a worker is injured on your property while performing a new roof installation, the claim will be denied, leaving you open to a lawsuit or damaged property. At Ron Ferris and Son we are insured for roofing with both workers compensation and liability. We are also a CertainTeed Shingle Master accredited company. When considering your next roof project call the Rochester NY Roofing specialists. We will always provide you with proof of current insurances, certifications, and accreditations as well as local referrals. We will use over 30 years of experience to assess your individual needs and go over the best options for your. Proper roofing insurances are very expensive and some roofing contractors in Rochester NYonly have general contractor insurance. Make sure you are protected with the pros at Ron Ferris and Son. Call the professionals today at 585-750-6757 or request a free estimate online and we will assess the best option to suit your specific roofing needs! As you can imagine a good place for a leak to develop is anywhere a roofline meets a chimney, wall, or other interruption in the roof line. Metal flashing is effective because when installed properly it can help accommodate roof, chimney, wall or structural movement due to setting and expansion or contraction. Step Flashing – attached to the roof against walls, dormers, skylights. Drip-edge Flashing – is the simplest flashing, it is used on rake and eave edges or the roof. Vent Pipe Flashing – used for circular bathroom vent pipes projecting through to the roof. We always recommend sealing around these with a tri-polymer based silicone. Counter Flashing – or “cap” flashing is installed over step flashing on chimneys and certain wall applications. Because a chimneys and certain walls can move independently from the main house foundation it is important to install “step” flashing to the roof deck and “counter” flashing to the chimney. When movement occurs, the “step and counter” flashing will act as a moveable joint while still providing maximum protection. Valley Flashing – a 12” pre-bent v-shaped aluminum used to line all valley areas. Along with a god waterproofing underlayment, valley, flashing will ensure your valleys last as long as your shingles. Flashing must be installed to resist several types of water penetration; wind-driven, gravity flow and surface tension. Roof flashing can be found in galvanized, stainless steel, copper, aluminum and some bathroom vents are even plastic. Sometimes pre-bent flashing won’t guarantee a close enough fit to effectively “shed water.” Call the professionals today at 585-750-6757 or request a free estimate online and we will assess the best option to suit your specific roofing needs! If you are looking for new roofing in the Greater Rochester Area in 2013, our motto is “get it Done with Ferris and Son.” We have over 30 years of roofing experience. Ron Ferris and Son offers the best warranties in the business and only employ CertainTeed factory trained and certified applicators. After doing thousands of roofs, we know what it takes to do it right the first time and if a problem ever should arise, we can resolve it immediately. We know what you want to make sure that you understand that when you hire us you are getting the best roofing company in the greater Rochester Area. LET ME ASK YOU A QUESTION?! · Do you want to spend your time getting estimates on night and weekends? · Do you want to be pressured by a salesman you may not trust? · Do you want to hire the wrong contractor and have problems? · Is you time and aggravation worth something? · Do you feel Ron Ferris and Son can install your roof correctly? · Would you like to have Ron Ferris and Son install your new Integrity Roofing System with transferable lifetime limited warranty plus a 10 year Streak Fighter algae warranty? At Ron Ferris and Son, we are a premier roofing specialist in Rochester NY. One of our owners will personally guide you from estimation to installation ensuring a quality, stress free roofing installation. Call the professionals today at 585-750-6757 or request a free estimate online and we will assess the best option to suit your specific roofing needs! 1. Water resistant – can resist water for a period of time to “dry-in” a roof deck until shingles can be installed. 2. Waterproofing – long lasting, self-stick modified asphalt on a glass mat reinforcement. This underlayment is much more expensive because of the high percentage of asphalt and polymer modifier. This allows the water-resistant underlayment to seal around nails driven through it. Never install underlayment between roofing layers as it can act as a vapor retainer and can collect moister which will deteriorate your new roof prematurely. You are always better off tearing down an acceptable roof deck. The objective of this roofing blog is to help identify and explain the different types of roofing underlayment’s available to roofing contractors and how they function. This will help you better understand the components of your roofing system. Roofing shingles alone will not give you all the protection you need from the elements. When installing roofing shingles, merely attaching the shingles to the bare deck if not enough. For necessary protection a roofing underlayment must be used before roofing shingles can be installed. Water-resistant roofing felt (tar paper) is roofing felt paper impregnated with tar. The result is a water resistant material used for roofing. Roofing felt was at one time the commonly used and basic type of roofing underlayment. Synthetic underlayment has since taken over, which we will discuss later. Roof felt protected your home from water infiltration while still “breathing.” This would allow some air and moisture to escape from your attic. Roofing felt comes in 15 pound and 30 pound. A 15 pound roll will cover twice the area of a 30 pound roll. Roofing felt is inflexible, difficult to handle, tares easily, and is difficult to smooth out buckets or wrinkles. It is very common for fasteners to create tares in roof felt because its composition is so inflexible and brittle. You would not want to expose this roofing felt for more than a couple of days before installing roofing shingles over it. Water-resistant synthetic underlayment – many roofing contractors in Rochester NY will want to spend a little more to get a synthetic underlayment. For just a few dollars more, you get a synthetic, scrim-reinforced underlayment that is flexible, several times stronger, impossible to tear, will never rot, and will lay flat easily. 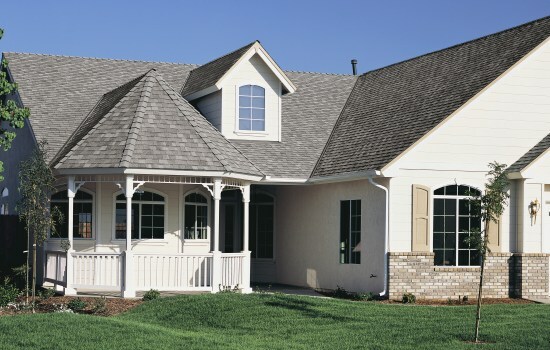 A good synthetic felt can be exposed for months before applying roofing shingles. Do not be fooled though, synthetic underlayment’s do not allow the “breathing” that roofing tar paper felts did. That is why proper roofing ventilation is so important when using synthetic underlayment’s. Waterproof membrane – or ice and water shield, is for superior protection from wind driven rain, snow, and ice dams. The purpose is to have a 100% watertight seal in the most vulnerable areas like roofing eaves, valleys, chimneys, wall flashings, and around pipes. Most waterproof underlayment’s are made up of asphalt polymers formed into a rolled sheet. The asphalt provides the waterproofing, while the polymers allow the asphalt to become elastic and sticky all the way through the sheet. This allows waterproof underlayment’s not to rip under stress and seal around nails driven through it. It sticks to a clean roofing deck like glue, so make sure your have it positioned where you want it when you pull the backing paper off. Waterproofing underlayment’s can prevent the intrusion of water for ice dams, but only the proper roofing ventilation can prevent the actual ice damming. Waterproofing underlayment’s will also not allow “breathing” so make sure to have proper roofing ventilation if you plan to cover your whole roof in waterproofing. Don’t be fooled, roofing underlayment’s are an essential part of properly installed roof. Cheap, improperly installed roofing underlayment’s can make for an expensive repair or unnecessary reinstallations down the road. For more roofing info, tips, and specials visitwww.ronferrisandsonroofing.com or call the professionals today at 585-750-6757 or request a free estimate online and we will assess the best option to suit your specific roofing needs! 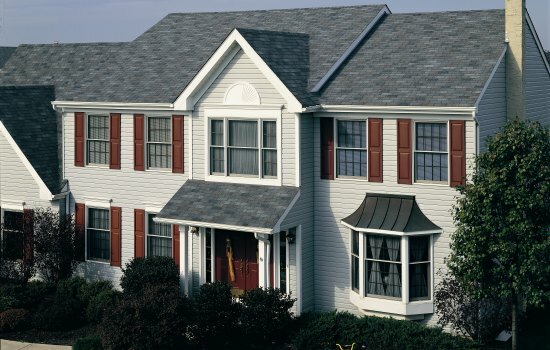 The roofing on your home is the first line of defense against the high winds, heavy rains, sleet and snow. This is not to mention the scorching heat of the Western NY summers. Conducting an inside and out inspection can help avoid costly problems and roof repairs later on. Look for these key danger signals that indicate your current roof may no longer be adequately protecting your home. Later we will discuss methods of repair. 1. Roof Leaks – check in attics and crawl spaces for signs of water damage. Also walk through each room within the home to check ceilings for any water stains. Peeling off interior and exterior wall paints can also be an indicator of a leak or poor roofing ventilation. 2. Condition of Shingles – Cracked, swollen, curled, missing, decayed asphalt roofing shingles are all a viable indication you may need a new roof. Check your gutters for roofing granules. If you find an excessive amount of roofing granules in your gutter it can indicate aging shingle that may need to be replaced. Shingles should be replaced immediately to avoid structural damage to your roofing deck or home interior. 3. Roof Flashing Vents and Accessories – check for visible cracks in the flashing around chimney skylights, roof vents, and accessories like pipe boots on all roofing. 4. Poorly Installed / Constructed Roofing Systems – American homeowners waste billions of dollars every year on poorly installed and constructed roofing systems, which cause the need for pre-mature replacement. 5. Poorly Ventilated – No Ventilation – check the underside of your roofing deck and rafters for mold from improper moisture and temperatures cause by poor or no roof ventilation. If you find any of the potential problems are in need of roof repair the first and most important step to take is to find a certified roofer in Rochester NY. At Ron Ferris and Son we are factory trained and certified by the 106 year-old CertainTeed materials corporation as a Shingle Master Company. We provide free inspections and estimates with a fully itemized assessment of your personal needs. So call us today if you see any of the above key signs that indicate your roof is no longer protecting you the way it should. Growing up with my father as a roofing contractor in Rochester NY, it was not uncommon to see several layers of asphalt roofing installed over a cedar shake roof. A re-roof in Rochester NYwas much cheaper than a tear-off with plywood. Today things are much different. Not only is a cedar shake deck a serious fire safety concern and a weight burden on your home, but it is an unacceptable roof deck for roofing manufacturer warranties. All layers of asphalt roofing must be removed as well as the cedar shakes. I have also seen roofing contractors in Rochester NYinstall plywood or OSB board over the cedar shakes. This is a completely unacceptable roof deck. Once you have removed all of the asphalt shingle and shake layers you can install a new acceptable roof deck and CertainTeed lifetime roofing system. Start at the bottom eave of the roof and live your sheeting up with the outer rake edge and bottom eave edge. Be sure to let your roof deck overhand the fascia by a minimum of 1 ½ depending on the roofs pitch. This will allow water to flow into the gutter once you install your drip edge metal, not behind it. I suggest “tacking” your first sheet just enough to hold it in place and set your second bottom edge sheet to ensure you have a straight, consistent bottom edge. Once you have properly positioned the sheeting place fasteners every 6’ along every rafter and end seams. Stagger the seams of the sheeting when beginning your next row. Make the cuts to plywood around all pipes, valleys, ridges, fringes, and fasten with a framing gun for more efficient installation. At this point we can begin to install the roofing waterproofing underlayment. Roofing contractor, Ron Ferris and Son installs waterproofing underlayment up to 6 foot on all eaves in all valleys around skylights, flashing and roof pipes. We then cover the rest of any exposed roof decking with a synthetic, scrim re-enforced felt paper for superior protection. Once we apply our drip-edge metal, we can install our starter shingle and the CertainTeed lifetime designer or luxury shingle of your choice. We tie everything together with a ridge event attic ventilation system, and apply CertainTeed hip and ridge accessories to all roof hips and ridges. Cedar shake tear offs are one of our specialties at Ron Ferris and Son. We will take care of the whole process from canvassing siding and landscaping to prevent damage, to providing clear pathways to entry doors. Making sure meticulous clean up is enforced with magnetic sweepers for nails and sharp metal. We are a CertainTeed credentialed Shingle Master Company and offer lifetime warranties on ourIntegrity Roofing Systems. So call the professionals today at 585-750-6757 or request a free estimate online and we will assess the best option to suit your specific roofing needs! When I first started as a roofing contractor in Rochester NYwith my father your only options as a homeowner with a flat or low slope roof were torch down, and glue down rubber or 90lb granular base sheet with tar applied to the seems. Neither were attractive, and some of the rubber roofs needed to be sealed with an aluminum coating which was bright silver making these roof an eye soar for residential applications. Roofing services and products have changed in the past 30 years that we have been in business. Today self-adhering granular surfaced sheeting is available to roofers in Rochester. 4. Finally install cap sheet with granular surface to match your asphalt shingles. Seams should again be offset again 18” from id-ply/ Make sure to use proper bond SBS Modified Bitumen Adhesive to any flash points. Once the membrane is installed go over it with a heavy standing roller, 100lbs or better. If the membrane can be lifted at any seam it is not properly adhered. A hand-held heat gun and hand roller can take off any small-unbounded areas if they exist. So there you have it, for Rochester flat roofs. Easier on Roofers in Rochester NY that fact no tar or hot asphalt or torch are needed. In fact, only minimal tools are needed for a roofing expert in Rochester NY to properly install a self-adhering flat or low-slope roof. Homeowners get to enjoy the advantage of a flat roof that they can be proud of. The new properly installed roof will provide them with years of beauty to match the protection from the worst of elements. Certified roofers at Ron Ferris and Son are experts at installing self-adhering flat roof systems so call the professionals today at 585-750-6757 or request a free estimate online and we will assess the best option to suit your specific roofing needs!